7 Responses to "Mystery Squeeze Photo #17"
I see Chris Difford, Martha Quinn and Jools Holland??? But I dont’ know where or when! I believe that its at the Albany in Deptford. 1980? It is indeed a photograph taken at The Albany in Deptford. I suspect that’s it’s earlier than 1980 as Jools is still in his leather biker look. Just look at Chris Difford’s shoes! And that tie! And for a special bonus point, who is Jools dancing with? 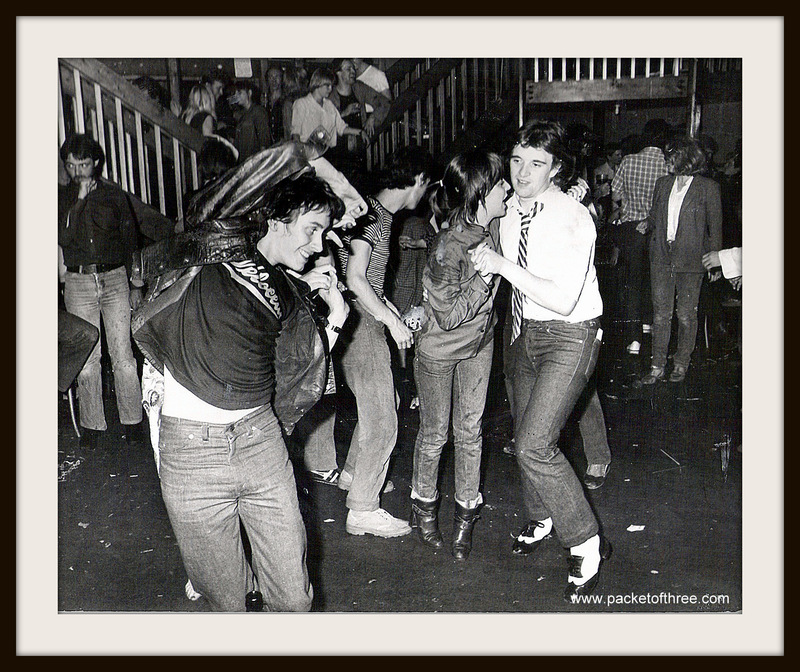 The photograph was taken at The Albany in Deptford in August 1979 at Chris Difford’s engagement party to Cindy. Classic shot.